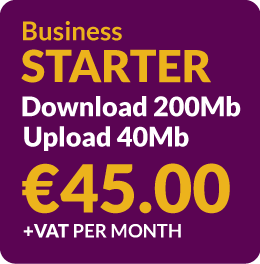 Business Starter brings the Internet to your business premises. You can now connect your whole corporate LAN to the Internet giving everybody in your organisation instant always-on Internet access. We can deliver such high speeds because we use our own fibre powered network.